I would recommend them to other people. They're a good company. I used them once for a carpet that hasn't needed to be replaced as of late. I think that's the best part, the fact that it has lasted over a year without needing to be cleaned. I'm happy with them. I have recommended several people. The quality and workmanship are good. The prices aren't cheap, but worth what you pay. They have skilled craftsmen. We have worked with Larry for years. They show up when they say they will. I also appreciate the skill of the tile setters. What I tell them all, I was very pleased. I like who came to help me. He didn't push anything on me. He helped me make a selection. I was very, very happy. I like the fella who presented the information to me. He didn't come in and try to sell me a Cadillac when all I need was a Ford. I took all of his suggestions because I trusted him. 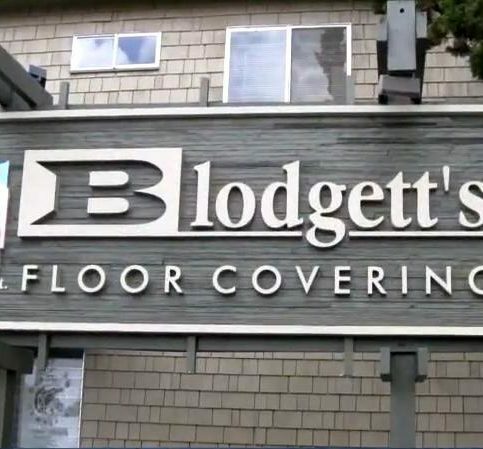 Blodgett’s Abbey Carpet & Flooring provides a variety of flooring and window products and treatments for residential and commercial clients in the Central East Bay area. 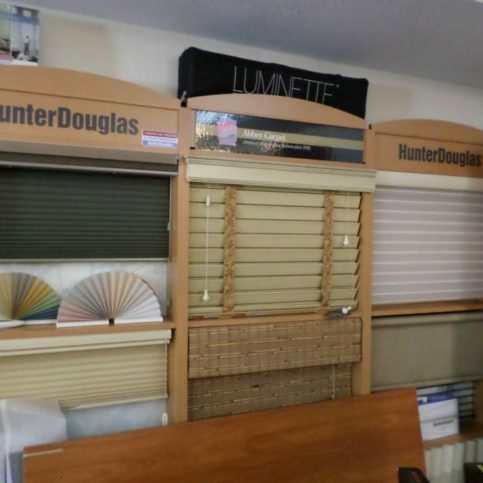 An independently owned franchise of Abbey Carpet & Flooring, the company sells hardwood, laminate, luxury vinyl tile and sheet vinyl flooring; carpet; area rugs; Hunter Douglas window products; and much more. President Larry Blodgett is a third-generation owner of Blodgett’s Abbey Carpet & Flooring. His grandfather, Kermit, founded the company in 1946, and it’s been family-owned and operated ever since. Mr. Blodgett says being part of the Abbey Carpet & Flooring group has allowed his business to provide both localized service and the buying power of a national brand. 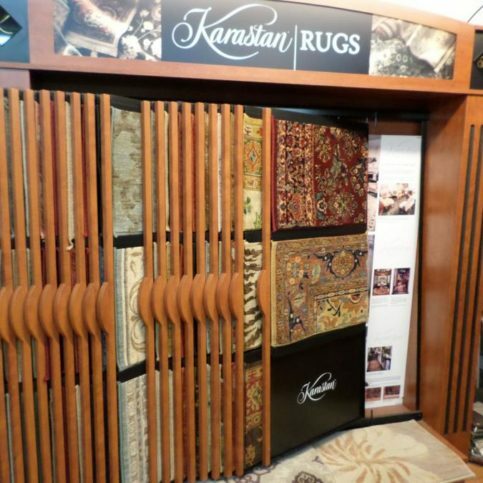 Blodgett’s Abbey Carpet & Flooring believes in offering hands-on, personal service to each customer. 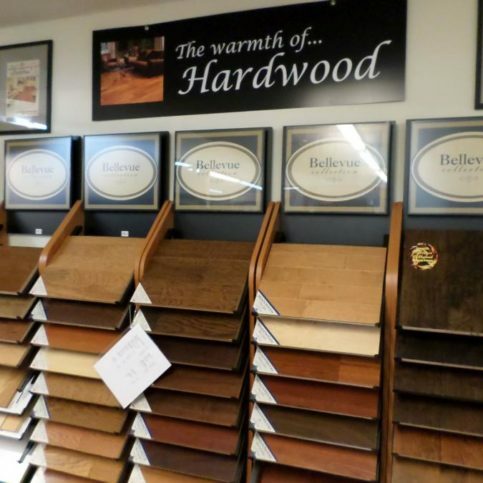 “We work with our clients, discuss their home or business decorating needs, and find flooring options that suit their tastes and budgets,” says Mr. Blodgett. 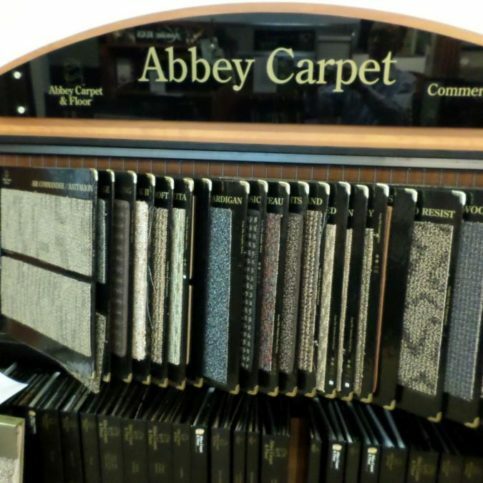 Blodgett’s Abbey Carpet & Flooring carries a wide range of products at its Lafayette showroom. 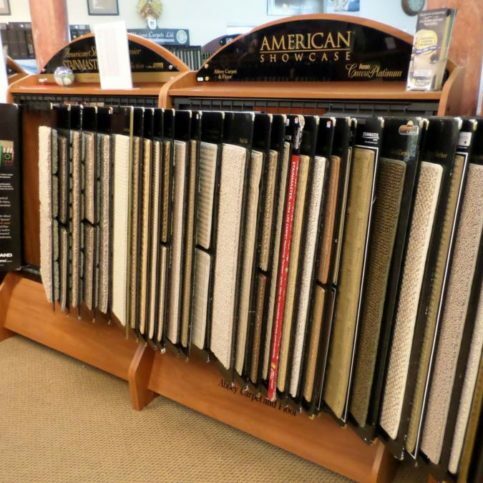 Another characteristic that distinguishes Blodgett’s Abbey Carpet & Flooring is its experienced sales staff, some of whom have been in the industry for 25 to 30 years. “Our salespeople are well-versed in all the products we carry and can help people choose the right products to fit their budgets and lifestyles,” says Mr. Blodgett. 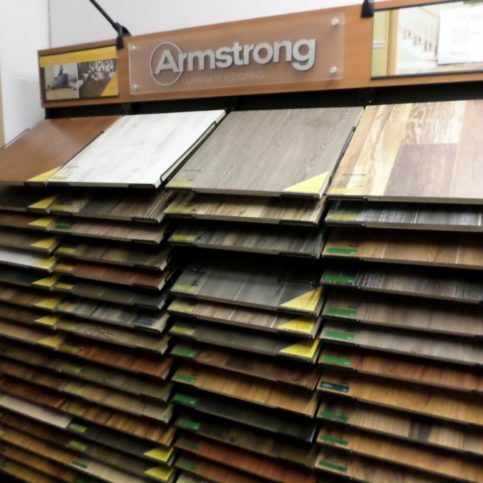 The company’s Lafayette showroom is organized in departments that are stocked with the latest styles, color and brands of flooring products, including hardwood, tile, laminate, ceramic, stone, sheet vinyl and more. 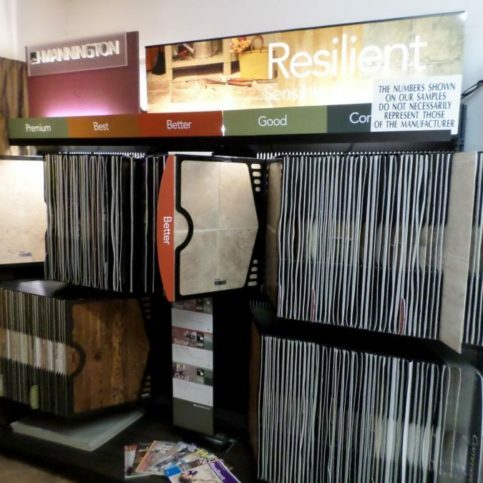 Customers can even take home flooring samples to ensure they make the right choices for their particular home environments. Take simple steps to ensure a seamless flooring installation. • Prior to the arrival of the installation crew, makes arrangements for them to remove your old flooring. • Make sure all painting is complete before your new flooring arrives. • Empty all rooms and closets to be resurfaced prior to the arrival of the installers. • Remove and box any valuable items near the area of installation. • Disconnect and move electronics, appliances and computers. • Make sure the installation crew has access to a location where they can store and cut flooring materials. • Ensure the crew has access to electrical power in the installation area. • If your installation requires sanding, cover all cupboards and furniture in the area. • Thoroughly inspect the flooring once the installation has been completed and immediately bring any concerns to the crew’s attention. • Hinged doors may require trimming for proper clearance once your new flooring is installed. • Your installation may require touch-ups to walls, moldings and baseboards. • Clean the floor after the installation crew removes all the generated waste. • Use fans to properly ventilate your floor for up to 72 hours after installation. Sprouting. Sharp vacuum cleaner edges, children’s toys, high heels and animal claws can cause this condition. If loose ends or “sprouts” extend above the rest of the pile, trim them evenly with the pile surface—never try to pull them out. After clipping, smooth the area with your fingers. Pile crushing. All carpet fibers will crush under heavy, stationary loads, but crushing can be reduced by regularly shifting furniture. To restore crushed areas, cover the carpet with a damp, clean cloth and then carefully apply heat to the cloth with an electric iron on a low setting. Remove the cloth and restore the pile while it’s still hot by brushing it lightly. Keep traffic off the carpet until it’s dry. Shading. After certain carpet styles have been subjected to traffic, you may notice areas that appear lighter or darker than other areas. This is called shading, and it’s the result of the change in direction of the pile due to pressure from footsteps and vacuuming. Brushing the pile in one direction may temporarily correct shading; however, shading is part of the carpet styling and should be expected to varying degrees. Don’t mistake shading for color fading. Pile distortion/roll crush. When carpet is manufactured, inspected, handled and shipped, it’s rolled and unrolled many times, which causes a common problem called pile distortion. To correct it, vacuum the carpet, increase the room’s relative humidity to 50 percent or more, and allow the carpet to sit for several weeks in humid conditions and slightly longer in low humidity conditions. A: We’re competitive for a store of our kind—one that allows for convenient shopping and has a well-stocked showroom with samples that can be loaned out and qualified salespeople who can answer your questions. We don’t pretend to be the cheapest, but we also have a reputation for taking great care of our clients. Q: Can you order products that I don’t see in your showroom? A: In most cases, yes. If you see something elsewhere that you like, let us know and we’ll see if we can get it for you. Q: How long does it take for you to order a product and install it? A: It’s typically only a few days up to two weeks from the time the product is ordered to the time it’s installed. Q: Are your installers employees of your company? A: Our installers are subcontractors, but they’ve literally worked with us for decades. One is even a second-generation installer whose father worked for our original owner. Q: Do you allow customers to take samples home? A: Yes, we’re happy to loan out our samples for brief periods of time so people can see the products in their own environments. We also offer in-home consultations. Q: Will your installers move my furniture? A: Yes, but we ask you to remove all small, incidental items. Q: Do you haul away all the debris created by an installation? A: Yes, and if there’s old carpet to be pulled up, we take care of that on the day of the installation with no extra charge. However, if you want to start from scratch and choose all-new colors and fabrics, your home’s existing swatches and fabrics won’t be of much help. In this instance, your best bet is to bring in elements of your current home décor that won’t be changing, like artwork or framed photographs. 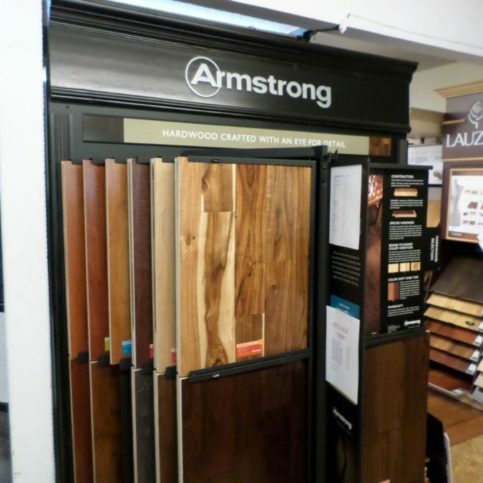 Using these, a flooring specialist can help you find corresponding colors and build a new design scheme for your home. Diamond Certified Expert Contributor, Larry Blodgett: Good morning. Many times, when people are considering redecorating a room or their home, they’ve got no idea how to start. One of the best things you can do is visit our showroom, and if you can, bring in paint swatches of the colors you have in the house or the room along with fabric swatches or any other kind of color cues that might help us help you find the right color and texture for your home. If you’re starting from scratch and have no idea of what to do at all — you’re going to be choosing new colors, new fabrics, and so forth — what you can do is bring in a piece of your art or a special picture or a photograph, and bring it into the showroom and allow us to help you find some colors that will work with that painting, that will help you decorate your home or an individual room. Those are just some quick pointers on how to start with finding the right color for your house or a special room. Thank you. 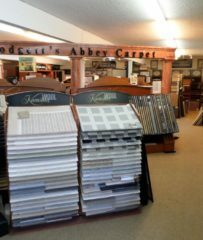 Blodgett’s Abbey Carpet & Flooring : Average 9.4 out of 10 based on 325 unique customer surveys of customer satisfaction. Very personable, and they make you feel like family. I have used them on several occasions over the years for more than one home. I have been very pleased with their professionalism and quality of products. We are very satisfied with the floor, and the quality is great. They were very patient with me when I kept looking and bringing in samples. The ladies were very helpful. I liked the products that I got as well as the service. This is the second time I have bought carpet from them, so I am very happy with them, and I would use them repeatedly. They were reliable, honest, and trustworthy. They help you, and they are on time with what they said they would do. Their products are very good. It is a small business, and I support small businesses. They were very helpful, good service and good quality. It was all very good. I was very pleased with everything. I thought the service was really nice, and I liked the support and service that I got. They hire the best. Their employees are top-notch, thorough, very friendly, and honest. If they need something like that, they use Blodgett's. They were right on top of everything. I would refer them, because the experience was good, and I am happy with the product. I was totally satisfied with them, and my father was satisfied with them also. We go back 50 or 60 years. Their service is really good. I have had a bunch of different workmen put down vinyl, and they have always been good. Being in that field, I demand good work and good service. I would say that they are a family-run business ,and they have been doing this for a long time. They make sure that the customer understands the product. They have a variety of products, and I was doing vinyl tile, which both me and my contractor hadn't done before. I had Blodgett's install it, and they were professional. I liked that I felt very confident that the whole family had been doing business for so long, and they take pride in their industry. They did a very good job. They were very helpful, prompt, and they did good, quality work. Everything about them, they did everything well.